Sharpen Your Spades is a blog that allows me to share my own allotment journey and I hope helps inspire as many people as possible to take up one of these wonderful community growing spaces and reap the benefits they provide. However, I understand when the length of waiting lists for allotment sites are long and ever increasing (a positive reflection of the demand for growing spaces yet a frustrating position for many) and some people are a distance from their local allotment site, growing your own fruit and vegetables might seem a bit of a dream. Whether you live in a flat with a windowsill or an urban home with a modest size garden in the city, growing some of your own fruit and vegetables is still very much a possibility. You just need to think a little outside the box. In his brilliant book, The City Grower, Matt Franks shares his experience of thinking outside the box and growing fruit and vegetables within what often feels a restrictive urban setting. I love this book despite having an allotment garden. Even with the space for growing fruit and vegetables an allotment provides, using it more efficiently is important. The luxury of a large plot has obvious benefits for growing your own but I feel it can often make us a little complacent and wasteful in the use of the land. Whether you have an allotment garden or a tiny backyard, The City Grower is full of clever ways to make the best use of the space (horizontally and vertically!) and grow some fantastic crops for the kitchen table. 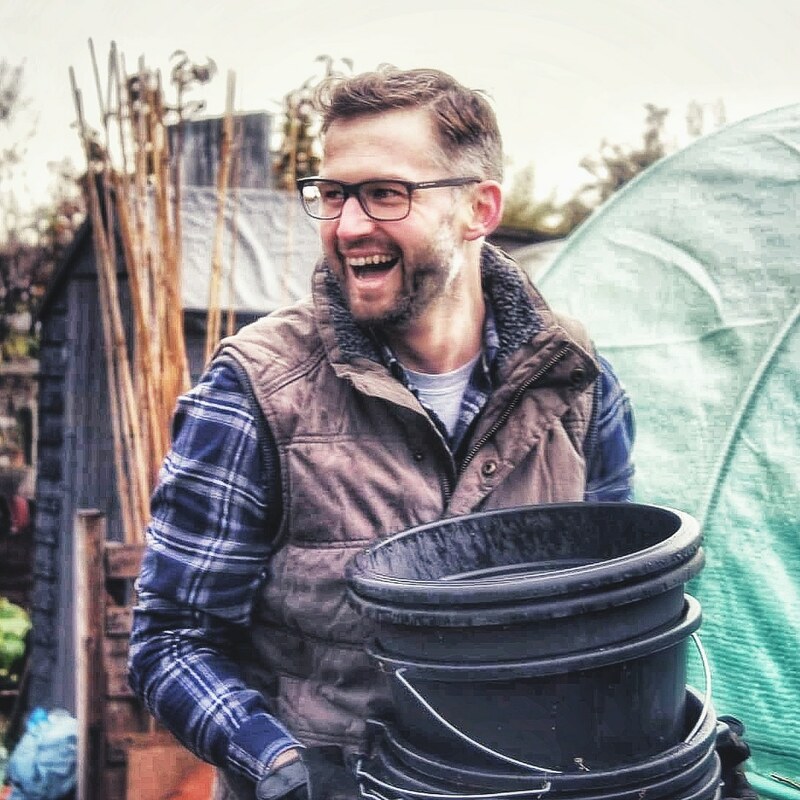 In only 138 pages, Matt, who has planned and maintained edible gardens across London, takes you step by step through the process to help urban families grow their own food. It fits perfectly with modern life with advice for gardening in an eco-friendly way using online apps and social media too. Right from the start, Matt explains his thinking and approach to growing edibles and promotes the need to view your growing area as an extension of the kitchen. A living store cupboard where you go to cut, snip and pluck the ingredients to add to your meals. Through design, he also encourages you to use crops that produce as often as possible and as quickly as possible to keep every member of the family interested and excited. The book is split into neat chapters that take you from choosing the best growing plot, building planters using upcycled and cost-effective methods, planning what and when to grow and planting up the growing space and looking after the crops until harvesting. I love grow your own books. They all provide huge amounts of information to inspire and allow us to understand the range of skills and techniques you need to embark on the journey to homegrown heaven. However, not all of them give you the much-needed hand holding through that expedition and often you muddle through and learn from the experience. The City Grower is that gentle hand that guides you exceptionally through the whole process. It’s inspiring, detailed and perfect for those who have never grown fruit and vegetables before. It will also stimulate the creativity of the seasoned grower too. I recently bought this book which inspired me to use reclaimed timber for raised beds. After more research, I learnt that treated wood may not be safe for growing veg. Do you have any thoughts on this or can you recommend any cheap alternatives? I love the idea of recycling, but I’m a bit wary of using treated wood for my future raised bed mushroom patch. Hello. Yes, this is true. However, you can tell the difference between the pallets that have been treated with chemicals and the safe to use heat treated pallets by the stamps. Look for HT which stands for heat treated.